As the IPCC prepares to release its fifth assessment report (AR5) on climate change, I can’t help but wonder: Why does the burden of proof favor the deniers? The draft AR5 says it’s at least 95 percent certain that human activity is causing the climate to warm. The IPCC assessments are the end product of countless scientific studies and peer reviews. They’re also consistent with the vast majority of other work done on the issue, and with the macro-phenomena observable to anyone with eyes. Yeah yeah, IPCC, one-world government, socialist plot… Please. Why doesn’t the media challenge the purveyors of doubt to identify a counter-hypothesis to the carbon theory, one that comprehends the disappearing ice cap, the rise in atmospheric, oceanic, and terrestrial temperatures, the retreat of the glaciers, the lengthening growing seasons, the acidification of the oceans, and the distortions in the jet stream? If it’s not CO2, what is it? And “We’re not sure” is not a counter-hypothesis. Mainstream Media: Demand an affirmative, alternate explanation. That would highlight the truth: there isn’t one. The theory of anthropomorphic climate change has met its burden of proof. Now the burden should shift to those who argue for continued inaction. Can they prove that the ice cap won’t disappear soon? That the jet stream won’t further meander from its traditional circuit? That weather extremes won’t get more destructive? That agriculture can carry on as ever? Or at least that the risks of continuing down the current path are lower than the risks of trying to mitigate these approaching planetary calamities? When I asked this on someone else’s blog, one respondent said, “The burden of proof rests with those who wish to promote something new or change things.” Altering the circulation of the jet stream isn’t changing things? Destroying agriculture isn’t changing things? Of course, he meant the social and economic structures that have formed around fossil fuels. Ironically, the objective of mitigating climate change is precisely to preserve as much of what’s good about the current structures as possible—like democracy, or the tattered semblance of it we try to keep stitched up. Climate inaction will force far more devolutionary changes than climate action ever could. Is there any doubt that a collapse of agriculture would greatly increase the risk of reactionary, totalitarian regimes? Of warlordism and resource wars? 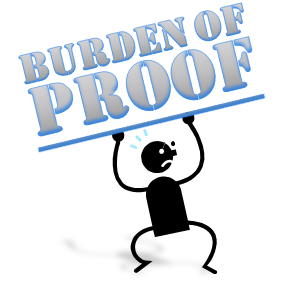 There’s a concept afoot related to the burden of proof called the “proactionary principal.” It’s in opposition to the more familiar precautionary principal. It promotes the freedom to innovate and encourages technological development. Freedom, innovation, development—hm, sounds good. But is the proactionary principal a flashy intellectual gewgaw that the entrenched powers can wave about to distract us, the better to sustain business as usual?